Your local recreation departments and local funding sources are committed to seeing all children and youth physically active. Sometimes, a little help can go a long way. 1. Read the below info based on the County you live in on the South Shore. 2. If you know what program you want register for your local recreation department will be your best source of information. 3. If you want to find program options search South Shore Connect’s Active Living Guide to find a program or opportunity near you. You can search by interest, organization or community here or go to your local recreation department recreation guide. 4. Each funding pool will have their own guidelines. Sometimes you can only access one funding pool – your local recreation department will help you figure this out. 5. Don’t forget about the Healthy Living Tax Incentive for up to a $500 tax credit per child under 17 who registers in an approved organized sport, physical recreation, or physical activity program. See here for more details. COMMUNITY GROUPS look here: If you are a community group that provides recreation and sport opportunities to the public you can also qualify for assistance though a number of grant programs. Do you live in YARMOUTH COUNTY? 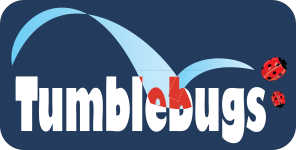 Do you live in SHELBURNE COUNTY? Do you live in QUEENS COUNTY? Do you live in LUNENBURG COUNTY? KidSport™ is a national children’s program that helps kids overcome the financial barriers preventing or limiting their participation in organized sport. 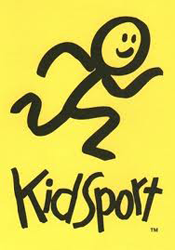 In operation since 1994, KidSport™ Nova Scotia has assisted over 16,100 children totaling over $3.1 Million. In 2012 KidSport™ Nova Scotia allocated over $515,000 to more than 1957 children from Sydney to Yarmouth. Available for youth under 19. Funding available for kids aged 4 to 18 from families in financial need can receive funding to help with registration fees or equipment costs. Specific local criteria applies. 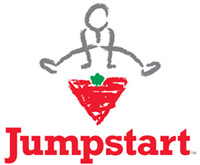 Approval for Canadian Tire Jumpstart program is based on a reference system. Applicants will be asked to provide a reliable reference who is willing to endorse that the applicants need is consistent with the Canadian Tire Jumpstart program guidelines. Generally speaking, Canadian Tire Jumpstart grants may be used to cover registration and/or equipment costs for a sporting or recreational activity of the applicants choice. However, there are a number of program criteria that may vary by area or chapter. This includes maximum grant amounts, age of eligibility, what the grant can cover, application deadlines, and processing timelines. The growing national network of 332 local chapters plays a key role in making the Canadian Tire Jumpstart program successful. Each chapter is volunteer-based and includes representatives from Canadian Tire stores, Canadian Tire dealers and petroleum agents, a variety of non-profit organizations and charities, and community leaders. 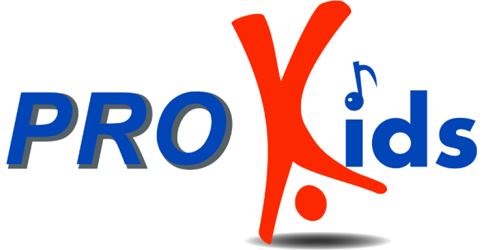 PRO Kids is a program that provides financial assistance to children and youth who, due to financial limitations, are not able to participate in sport, recreation and cultural activities. The PRO Kids program strives to remove financial barriers to ensure every child and youth has an opportunity to participate. Grants awarded via PRO Kids can be used towards the cost of equipment and/or registration fees. Approval is based on a reference system. Applicants will be asked to provide a reliable reference who is willing to verify that financial assistance is necessary. Applications are processed once per season, on a first come, first serve basis. Applicants are advised to allow three weeks for processing. The Kid’s Fair Play FUNd’s mission is to provide opportunities for all kids in Shelburne County to participate in Sport, Recreational, and Cultural activities. The Kid’sFair Play FUNd is a Fund administered by the Municipality of Shelburne in cooperation with the other Municipal units in the County as well as businesses, community groups, and individuals. Whether the need is around cost, travel, equipment, or connections – the Kid’s Fair Play FUNd can help. Funding amounts up to $200 child/per year, or up to $400 per family/per year may be awarded. Approval is based on a reference system. Applicants will be asked to provide a reliable reference who is willing to endorse that the applicant would not be able to participate without the support of the Kid’s Fair Play FUNd. Applications are received at any time throughout the year, and are reviewed 4 times annually: December 15, March 15, June 15 and September 15. The Kids First Fund is designed to assist children and families of Yarmouth County with the costs of sport and recreation programs. The objective of the program is to create opportunities for all children and youth, regardless of socio-economic backgrounds. The Kids First Fund of Yarmouth County is supported by the Town of Yarmouth, Municipality of the District of Yarmouth, Municipality of the District of Argyle, and Province of Nova Scotia. Funding amounts of up to $200 child/per year, or up to $400 per family/per year may be awarded. Funding may be used toward the cost or registration and/or equipment. Applications are received at any time throughout the year, and are reviewed 4 times annually: August 30th, December 1st, March 15th and May 30th.